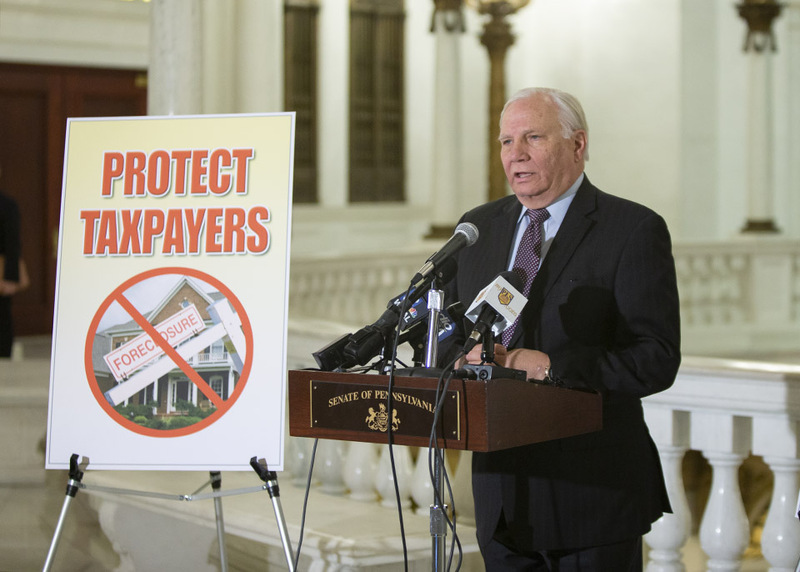 On Monday, I took part in a news conference to support legislation introduced by Senator Mario Scavello (R-40) to eliminate residential school property taxes through the state’s existing homestead exclusion program. To fund the expanded homestead exclusion program, the legislation would increase the personal income tax rate 1.98 percent to 5.05 percent. This Education Tax is expected to generate $9.3 billion, which will be placed in a separate account dedicated solely to property tax elimination. Even with property tax elimination, Pennsylvanians will pay a lower income tax rate than surrounding states. One of the largest issues in my district is the increase in property taxes. I support Senator Scavello’s legislation which will help us address this ongoing issue and provide relief to our residents who are burdened by property taxes and ensure that schools still receive adequate funding. The Senate passed a bill on Tuesday that would provide a valuable new marketing tool for veteran-owned businesses.Senate Bill 1041 directs the Department of Military and Veterans Affairs to create logos to promote businesses owned by veterans, disabled veterans, active duty service members and members of the National Guard and reserves. The bill was sent to the House of Representatives for consideration.